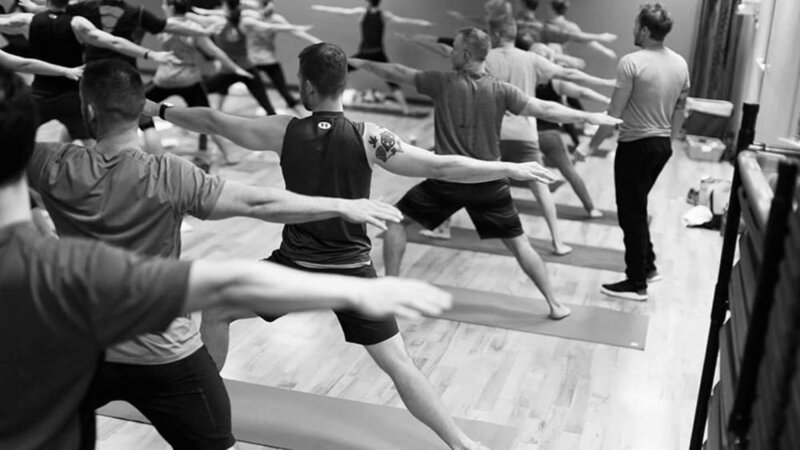 This fast-paced flow yoga class is firmly grounded by an informed biomechanical approach. Students will focus on linking conscious breath and anatomical awareness with vigorous and mindful flow to build strength, flexibility and concentration. Each class is rooted in sun salutation, but varies based on the day's movement concept. Rockin' music and inversion progressions are a part of every vinyasa experience in this class. Somatic practices use your internal awareness—through proprioception, interoception, kinesthetic awareness,etc.—to bring awareness to both habits and potential new choices you have in moving and embodying your life. Somatic learning can make the unconscious conscious, and in the process leaves you with more options for moving, acting, thinking, and living. It maximizes not just your physical body but your full human potential. The processes of working this way allows your own nervous system to recalibrate and for there to be lasting change that comes from a deep inner awareness of how you move. Somatics can be used to relieve pain, manage stress, and improve performance both physically and qualitatively in all aspects of life (sports, arts, work, and play). One has the opportunity to find greater ease and pleasure in your movement and life. No experience necessary. The mouth and tongue are central to our learning as infants, and I thought it might be useful to revisit this central role with regards to the organization of our mouth and jaw, and the impact it has on our whole self. Some people suffer from jaw pain or grind their teeth, and they might be interested to learn how to adopt healthier muscular habits. It is also very interesting to learn how the organization of the mouth reflects our emotional states. As we know, emotional states are represented in the muscular organization throughout our selves. We will look at the relationship of mouth/jaw and neck and shoulders (restricted jaw function leads to neck and shoulder pain); interaction of jaw and eyes; mouth and jaw relating to the spine, and finally pelvis and jaw connection. You will learn that whatever goes on in the mouth and jaw is reflected throughout ourselves and has consequences for our relationship to gravity. In English the chest is referred to as “the rib cage”, a most unfortunate term that evokes a confined and confining structure. How can we free ourselves from this constricting “cage” notion, so that we are no longer welded to the idea that we are held captive by an unyielding part of ourselves. It is much more helpful to view the chest - or “rib basket” - as a dynamic, adaptive structure that changes according to the demands of our actions. Without this ability to adapt we would struggle with stability, balance, fluid gait, flexibility, etc. Shoulder issues would be a constant, since the “cage” does not support arm and shoulder movements. Our health would be compromised because the breath would be shallow. And how about that pain in the neck...! Our vision would be restricted. etc., etc. In other words, the concept of a “cage” is not functional, and sadly many of us are saddled with this idea, especially as we get older. How very depressing! In this workshop we will explore the notion of a flexible chest as a precondition for the integrated functioning of our neck, shoulder girdle, hip joints, flexibility, stability, balance, etc., etc. Do join me for this dynamic exploration of possibilities to improved functioning and health. Please dress comfortably, if you plan to attend.